A Non Tech Girls Guide to the 2019 Range Rover Evoque… Because ladies like the finer things in life too. I’m just gonna come out and admit it, we are obsessed with cars in my household! There are 6 between the 2 adults in our home and in all honesty if we could fit more, we probably would own more! Funny thing every one of them crosses over into the off road-play category with only one of them considered a “car”. I have owned both the Land Rover Range Rover as well as the Land Rover Discovery and just recently added Velar to that list and truly have enjoyed them all. My obsession with the Range Rover goes back about 15 years to my Interior Design days. Working in the field you see so many high end vehicles and to look the part it was good to drive the part. Nothing said style to me like a Land Rover Range Rover. It had the space I needed to carry clients chairs or custom drapery and looked oh so professional when showing up to start a new venture. Ever since that first one I purchased, I have been a dedicated and very pleased Land Rover customer. Looking to explore the Land Rover line further, Land Rover Anaheim Hills loaned me a new 2019 Range Rover Evoque to take on a recent press trip to Carmel. It is much smaller than my current daily driver (a 2019 Range Rover Velar) so I wasn’t sure how I would like it. It didn’t take me long to get used to it and after my week with it…. I feel in love with it! So easy to zoom around the city, the controls are all well organized and the paddle shifters on the steering wheel are just plain fun! Literally throw your stuff in the back and just go! Parking was also so easy with the rear cameras and sensors. Running errands and shopping was a breeze especially with the automatic hatch in the back and the lower stance. The panoramic sunroof which retracts almost the full length of the car makes the cabin feel so spacious and the back seat had surprisingly more room than I was expecting. Okay so it’s a great vehicle to run errands, enjoy a night out on the town but can this ride really tackle off roading like it’s bigger brothers? 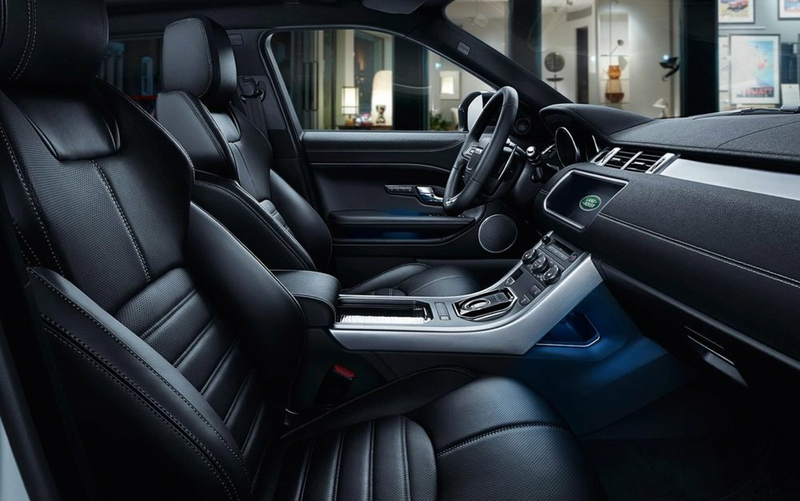 Cabin of the 2019 Evoque Compact yet well appointed and lots of leg room. Few specs on the 2019 Evoque . To explore its capabilities we visited The Land Rover Experience in Carmel at Quail Lodge. One of only 4 locations within North America (and the only one on the West Coast) this driving school is all about teaching you how to become confident and skilled at using your vehicle in all conditions no matter what level of experience you have. The kicker was going out on their 180 acre playground in of all vehicles, an Evoque! The instructors are all huge Land Rover fanatics just like we are, they know these vehicles like no ones business. Understanding the vehicles capabilities made getting through the mud, sand, water and rutted trails a cake walk for the Evoque. Looking at the minimal clearance it has I wouldn’t have believed it if I hadn’t seen it for myself, super impressive what this vehicle can do. If you are considering purchasing or leasing a new Land Rover vehicle you are welcome to visit this driving school for free! They offer a 2 hour driving lesson in one of their vehicles within a 12 month window after the purchase of your vehicle, it’s a $425 value. So if you are a newbie to the brand, this is the perfect way to really learn what your vehicle can do beside fighting the local freeway traffic and taking the kids to soccer practice! Considering purchasing a vehicle but on the fence, take the driving class and receive a special offer towards the purchase or lease of a new vehicle. My final thoughts on the 2019 Evoque: So what do us ladies look for in a vehicle? Looks, safety and ease of use are my top must haves. It’s sporty look (and size) matches it’s performance abilities which made both our long road trip and jaunts around town a blast. As a mom, I always think about safety. The 2019 Evoque received a Euro NCAP 5-star crash test rating, boasting front, side, knee and overhead airbags as part of the safety features. Pick up is killer, making merging onto freeways a breeze. With all the latest gadgets on the steering wheel your eyes on the road where they belong. The most important thing for me is having a safe and dependable vehicle while driving by myself or with my daughter, and I feel that way with ALL the Land Rovers I have had. Driving the Evoque was luxurious and sporty all at the same time. Bottom line, if I could swing another vehicle, this would be the one! I have purchased 3 of my Land Rovers from Land Rover Anaheim Hills. Greg Suzuki has always been my go to for the best deal every time and I can always reach him on the phone or via a quick text message. They are offering some pretty sweet incentives on the 2019 Evoque as the 2020 models will be coming in soon. 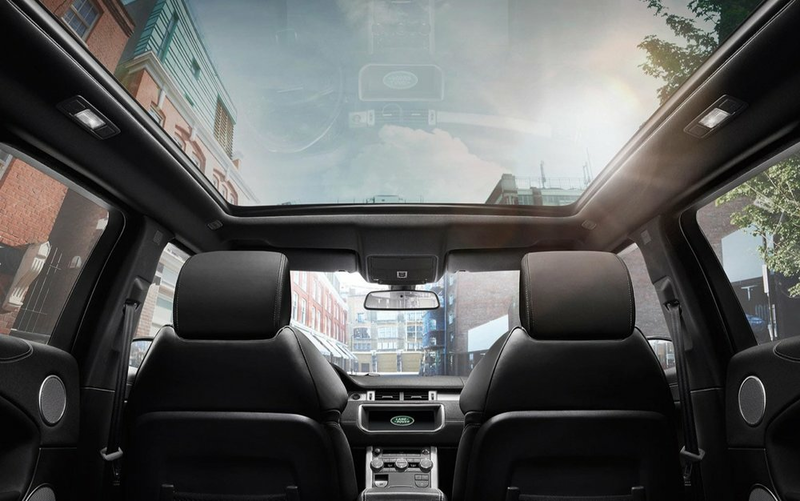 Think Land Rover isn’t something you can get into to, you just might be surprise at how affordable the Land Rover Evoque can be! The main reason I always go back to Land Rover Anaheim Hills besides their selection of quality new and certified used vehicles…. there is never any pressure, which make the car buying process there the best I’ve ever experienced. Huge thanks again to Anaheim Hills Land Rover for allowing me to enjoy the Evoque, it made our trip all that more enjoyable. But don’t just take my word for it, go in and test drive one for yourself!